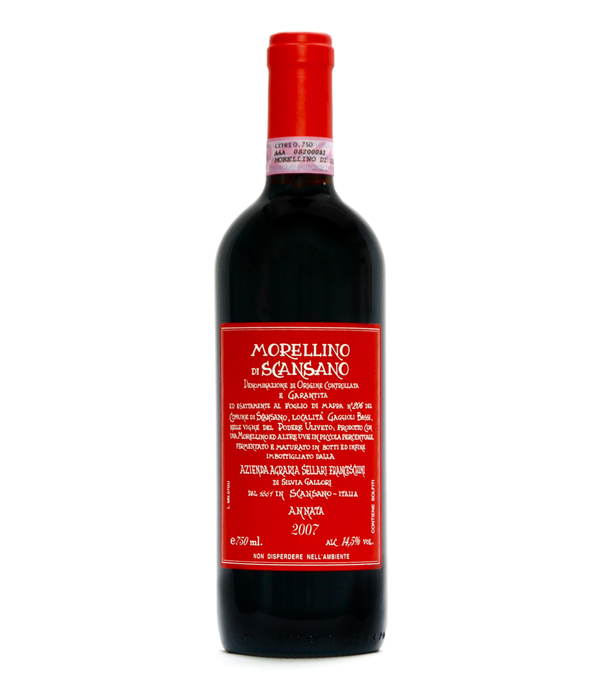 A "cru" wine, deceptively light, fruity wine, entirely fermented and matured in used wood, from the Sellari Franceschini's vineyard, the oldest family producers of Morellino. Tannins are more pronounced and has a stronger body than the white label. Some interesting spicy notes and a very long finish that will surprise you.